Preventing IT disasters before they happen and Recovering from them when they do. 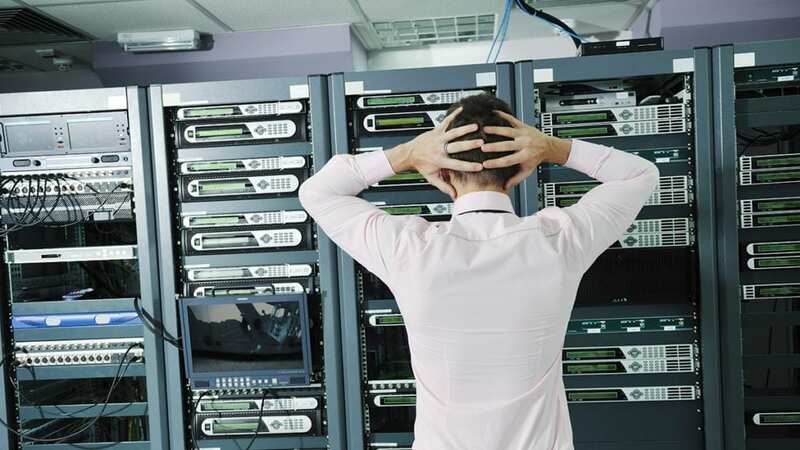 For a business, having IT systems down or offline for any length of time can be stressful. Losing those systems and precious business data, can be a disaster. Unfortunately, the IT Guys are called on far to often to recover data or to restore systems that could have been easily prevented in the first place. By allowing the IT Guys to audit and inspect your current situation and suggest improvements if necessary, potential IT disasters can be averted or minimised. Our Preventative Maintenance services will prevent or reduce the impact of IT disasters before they happen and our Disaster Recovery services can be used to recover from them when they do. This is usually accomplished by preventing the failure before it actually occurs. A preventative maintenance program is designed to preserve and restore your equipment reliability by replacing worn components before they actually fail and to patch and upgrade software periodically to plug security leaks and maintain stability and security. Preventive maintenance activities include partial or complete overhauls at specified periods, hardware changes, software upgrades and more. While the ideal preventive maintenance program would prevent all equipment and software failure before they occurs, this is rarely the case. We deploy managed workplace solutions that continually monitor and audit your servers, workstation and devices and automatically alert our support team to investigate and carry out preventative maintenance when and where required. We also install, maintain and manage an effective and secure backup regime. Giving you peace of mind and keeping your business alive in the most dire times. Traditional backup methods, such as tape, disk, or online only, are no longer sufficient. In fact, leading edge business owners are finding them unacceptable, due to their inability to recover data quickly and mitigate downtime. Technological innovations have established a comprehensive new standard, Intelligent Business Continuity (IBC). Only an IBC solution will ensure data protection, data security, instant recovery, mitigate downtime and ensure continuity. Even with regular maintenance and ongoing vigilance, computer equipment, software and data will fail at some time. Servers and Computers may need to be replaced or have parts replaced and software such as operating systems and programs may need to be restored or reinstalled. In addition, malicious computer viruses may corrupt or encrypt software (data and programs) rendering your IT systems useless. Recovering from such disasters may take hours, days or weeks, depending on the backup regime in place. The IT Guys recommend employing an IBC solution in preference to a traditional backup system but whatever system you choose to employ, remember that prevention is better than cure. We can advise you on many ways of protecting your data from loss and to suit your budget. Our proposed solution will be dependent on your budget, amount and type of data and your business continuity requirements. We use a combination of cloud-based storage, as well as physical storage devices to ensure your precious data is always backed-up and secured. Our recommended backup regime includes local and offsite backups utilising NAS (Network Attached Storage) systems for local backups and mirrored or cloud backup services over the internet. You may think you have a backup of your data but have your ever tested it or tried to recover data from that backup? There is little point backing up your data, if your backups are not tested. You can never have too many backup sources, however make sure that the backup technique you use allows you to go back to previous “versions” of the data. For example, your MYOB or accounting file has some data missing but you do not notice it for a few days. Your backup software may merely be over-writing the bad data on top of the good version of the data. Unless you can recover a previously saved good version of the data file, then your backup regime is critically flawed and needs to be replaced. At The IT Guys we design and implement onsite and offsite data backup and recovery solutions to meet each of our client’s specific requirements. 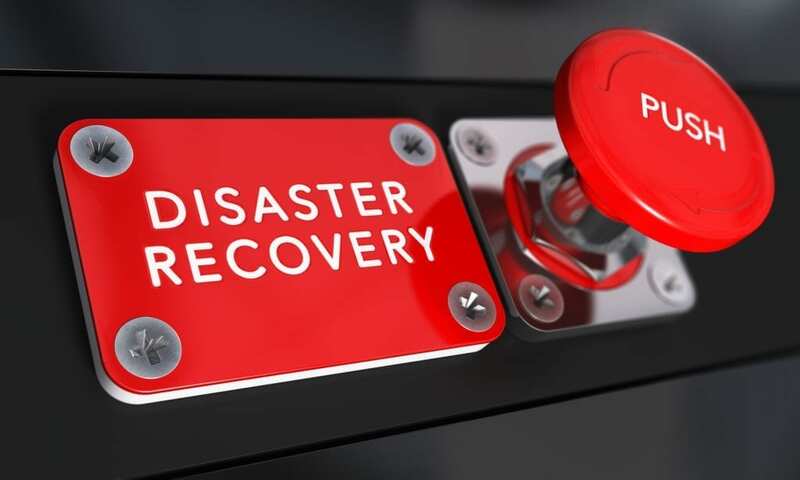 Unexpected disasters are the bane of any business’s existence and can leave your business vulnerable and even lead to a loss in revenue, but with the IT Guys Disaster Recovery Plan in place, we can help mitigate the effects and help eliminate downtime.